Der Artikel Jay Jorgensen: Grace Kelly wurde in den Warenkorb gelegt. Ihr Warenkorb enthält nun 1 Artikel im Wert von EUR 34,31.
in the musical High Society (1956) before her retirement as Princess of Monaco. 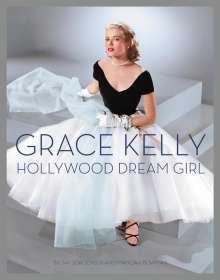 Told through a stunning gallery of 400 prized and rare photographs, from rarely seen childhood photos, previously unpublished Edith Head wardrobe sketches, original portraits, scene stills, onset candids and wardrobe test shots, Grace Kelly: Hollywood Dream Girl is a fresh, celebratory look at Kelly's unique Hollywood career.